The WX390A-860 is a fire pump designed to meet and exceed the pump truck and trailer requirements put forth by the Washington Department of Natural Resources and Oregon Department of Forestry. 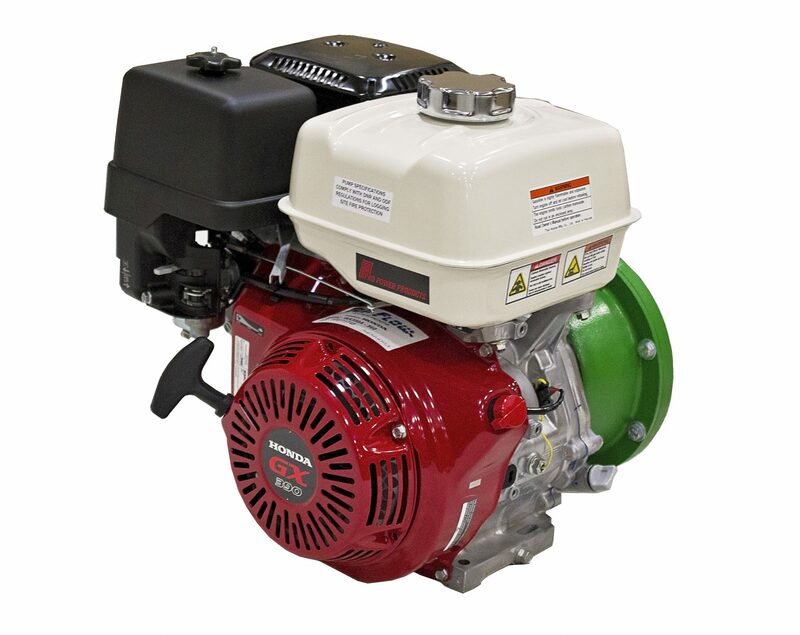 Combined with a commercial grade GX390 Honda Engine, the Ace GE-860 centrifugal pump has a maximum pressure of 140 psi and a maximum flow of 150 gpm. The pump housing is cast iron, and the seals are Viton ceramic. Internal pump parts are replaceable if needed. 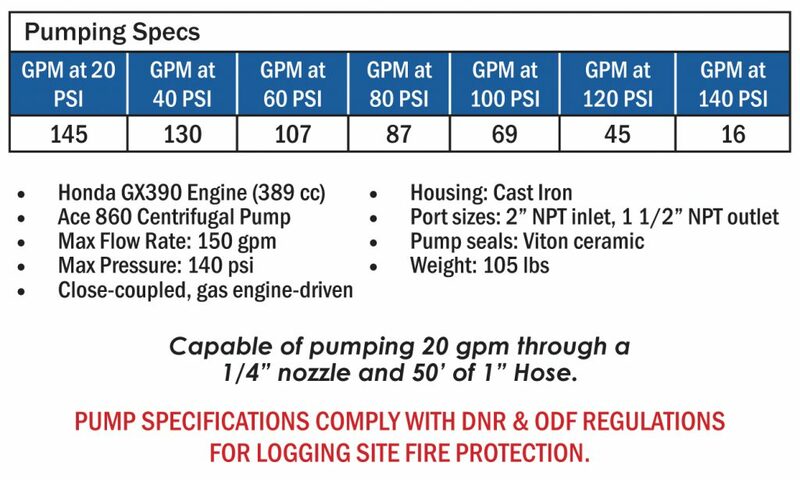 This pump is also useful in other fire mitigation applications.